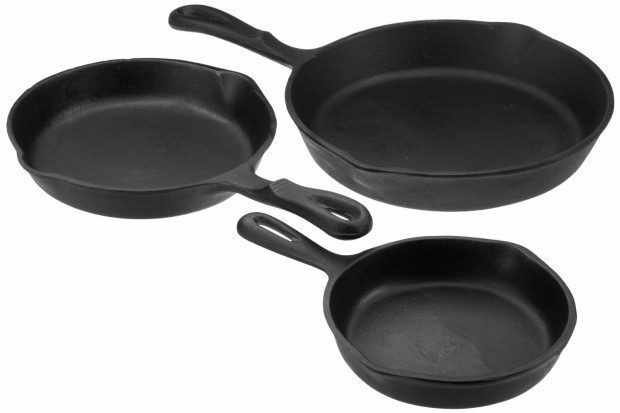 Pre-Seasoned Cast Iron 3 Piece Skillet Set Only $17.99! You are here: Home / Great Deals / Amazon Deals / Pre-Seasoned Cast Iron 3 Piece Skillet Set Only $17.99! This is a great deal on some fantastic pans! Lowest price Amazon has had on this set! 3 preseasoned skillets in 10 inch, 7.825 inch and 6.25 inch sizes. Cast iron materials provide better heat retention for more even cooking! Get the Pre-Seasoned Cast Iron 3 Piece Skillet Set Only $17.99!